The goal for Day 5 of the PokerStars Championship Panama was a simple one: play down from 12 players remaining to just 6. How long that would take, was up for debate amongst the people in the know. While losing 6 players might not seem like a big hurdle to take, play was rather deep. All in all, it took seven hours to make the event 6-handed. 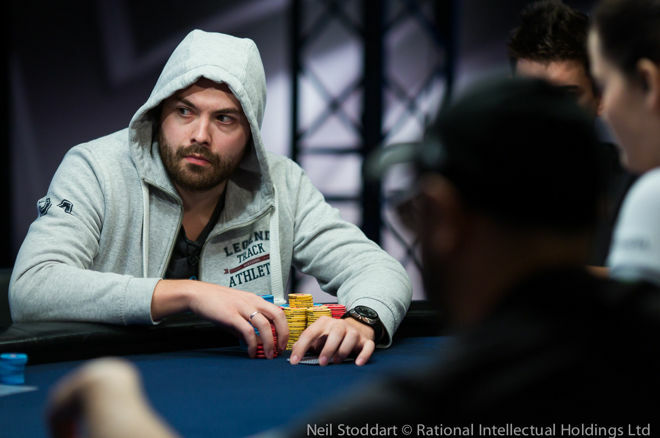 For the longest time, Kenneth Smaron had the lead but in the end, Denis Timofeev (lead photo) regained the position of being the biggest stack after making a huge call to catch Smaron's big bluff in one of the last hands of the day. The two Canadians return to the felt as the shortest stacks tomorrow. The day started out with the bust out of Luis Alejandro Mata, the shortest stack going in. He got it in with five-six suited against ace-king and ace-king, and did not improve enough to come out ahead. The next all in was for Jonathan Abdellatif who doubled with queens through tens. It wouldn't be the only time the Belgian would double, he found himself all in multiple times but won every single time on Day 5. Vincent Allevato wasn't so lucky, he departed in 11th place. 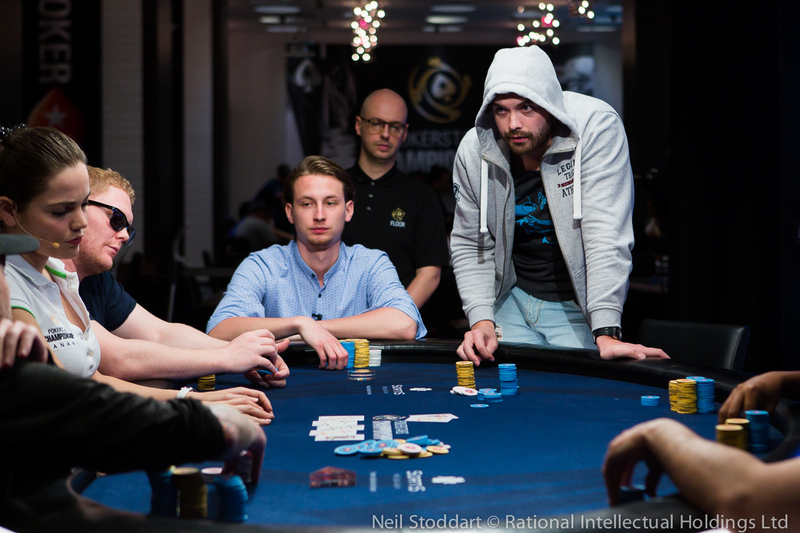 He got crippled in a pot against Robin Luca Wozniczek where the latter rivered trips and got a decent sized value bet paid off. In Allevato's last hand, he got it in with threes against that very same Wozniczek'skings and no three or other help appeared. Exiting in tenth place was Day 1 chip leader Igor Yaroshevskyy. 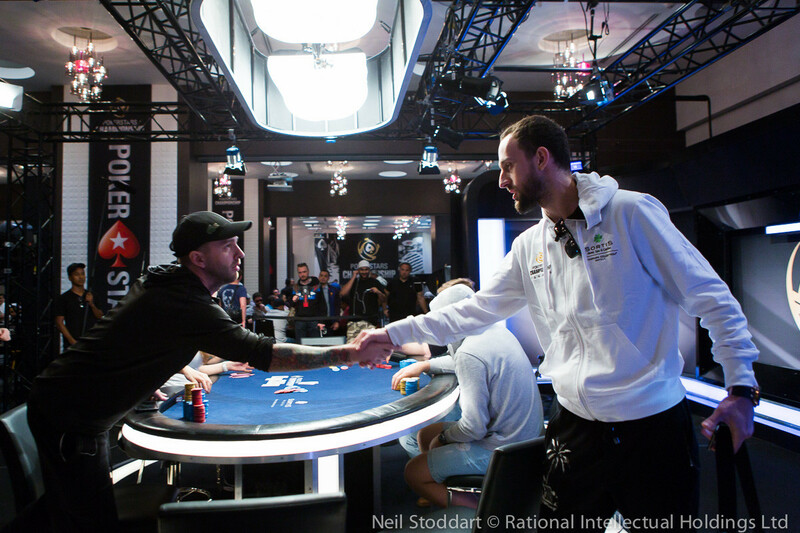 The experienced Ukrainian player squeezed all-in with ace-queen and found a caller in Kenneth Smaron who held ace-king. A queen appeared on the flop but so did a king. Blanks on the turn and river resulted in the departure of Yaroshevskyy and it made the tournament down to a single table of 9. With just 9 players remaining and the cameras buzzing, Robin Luca Wozniczek pulled off one of the biggest bluffs of the day. He called a raise in position, only to four-bet when the action got back to him after a squeeze by Denis Timofeev. Wozniczek represented a huge hand by betting the flop and turn but showed nothing but seven-eight high after his opponent folded on the turn. Meanwhile, Abdellatif had doubled twice. First he got it in with top-two pair against top-pair, later he doubled with queen-nine through ace-queen, turning a flush. Abdellatif had gotten lucky, but the same could not be said about Michael Lech. The amicable globe trotter got it in with eights against ace-queen and ace-king but couldn't dodge the queen to survive. Arguably the biggest name left in contention, Byron Kaverman, was next to go. He got bluffed early on, had to fold to a big river shove later, and eventually got it in with king-jack against the pocket threes of Smaron who flopped a set. As Abdellatif doubled once more, this time with aces through James Salmon's kings, the most talked about pot of the day would follow. Smaron opened the hijack and Timofeev three-bet from the small blind. 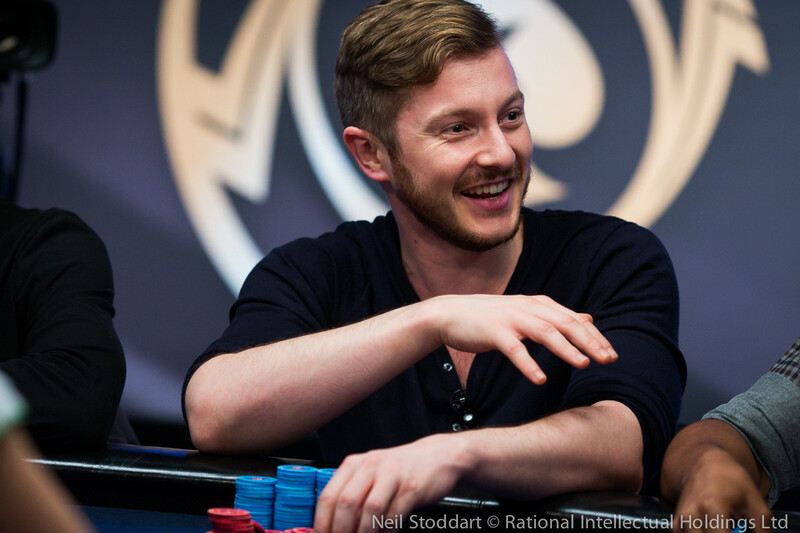 Smaron called in position and called the continuation bet of Timofeev on nine-eight-deuce with two clubs as well. Both checked the off suit four on the turn before the jack of clubs completed the board. Timofeev bet 375,000 with 805,000 behind. Smaron, as cool as ever, shoved all in. Timofeev went deep into the tank and eventually, with the hand running for 12 minutes total, called with jack-seven of hearts for a mere top pair. Smaron showed ten-eight for third pair turned into a bluff. With that, Denis Timofeev grabbed the chip lead. He would strengthen that lead minutes later knocking out James Salmon in 7th place. Salmon was short after doubling Abdellatif with kings to aces, and eventually got it in with ace-deuce. Timofeev looked him up with ace-ten and flopped a ten to just about seal the deal. The turn gave Salmon a wheel draw but a blank on the river resulted in a trip for him to the payout desk. With that, the line-up for the final day was secured. Six players return to the Sortis Hotel, Spa & Casino in Panama City for the last day tomorrow at noon. PokerNews will once again be on the floor to bring you all the updates. The coverage and live stream with hole cards will be on a one-hour delay and starts at 1 pm local time. Commentators Joe Stapleton, James Hartigan and Matt Broughton will be secluded and commentate live, so they won't be able to interact with twitter or Twitch commentators on the last day of the PokerStars Championship Panama.